Well this past weekend saw me at the Lifestyle Fishing Expo up in Johannesburg, doing some casting demonstrations and hopefully helping some people improve their casting. Casting seems to be once again something of a hot topic in these parts, with discussion, and of course the accompanying disagreements, being traded to and fro on the local social media. In particular the pages of the Cape Piscatorial Society’s Facebook page. David Karpul set the whole thing off debating the wisdom of over or underlining rods with different lines and anyone who has read much of my opinion on line ratings, casting and the vagaries of the AFTMA system (read: https://paracaddis.wordpress.com/2012/03/15/an-aftma-fairy-tale/ ) knows that it is something that I find both fascinating and annoying in equal measure. However the discussion did bring to mind a recently discovered quotation that roughly stated was; “The difference between an argument and a discussion is that in an argument we are trying to decide who is right, in a discussion we are trying to discover what is right”. I rather liked that quote and bearing that sage advice in mind I thought perhaps some further discussion was perhaps in order. To suggest that I have all the answers to the woes of fly casting would be a gross exaggeration, but I have spent quite a bit of time experimenting, discussing and even writing about it, particularly when it comes to trout tackle. I can’t venture too much of an opinion on double handed salmon rods, switch rods, the snap “T” and such as apart from anything else there is nowhere in these parts where such tackle or casting technique is really warranted. 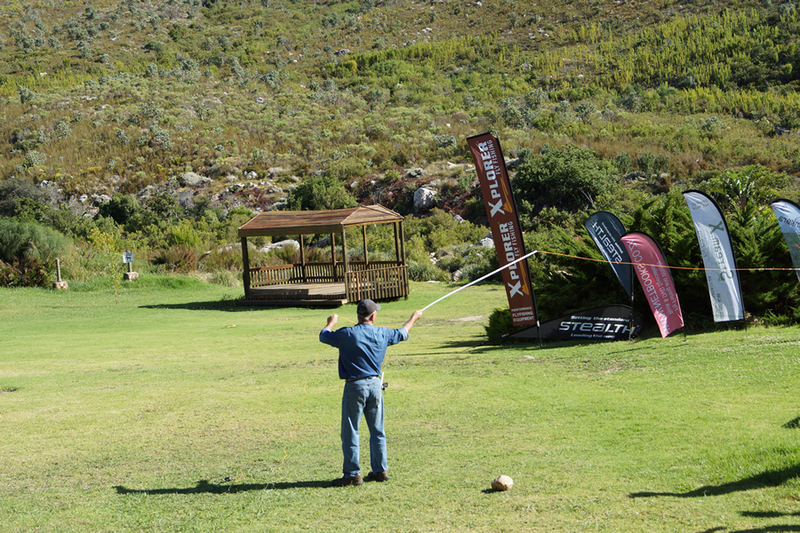 Fly casting and the discussion of fly casting seems to be beset with myth, opinion and to be frank downright lying more than most pursuits, although I suspect that similar argument ensues amongst golfers discussing their swing. You should be equally be aware that all of the stuff below is, strictly speaking, “opinion” some might be my own self constructed “myth” but I will try to draw the line at actual fibbing. To me, a certified non-golfer type, even I can see that Tiger Woods, Ernie Els and Greg Norman do not swing a golf club in the same way, that is what my friend and exceptional fly casting instructor, Peter Hayes would call “style” and style denotes one’s own individual interpretation, methodology of doing something, like casting a fly rod or swinging a golf club. 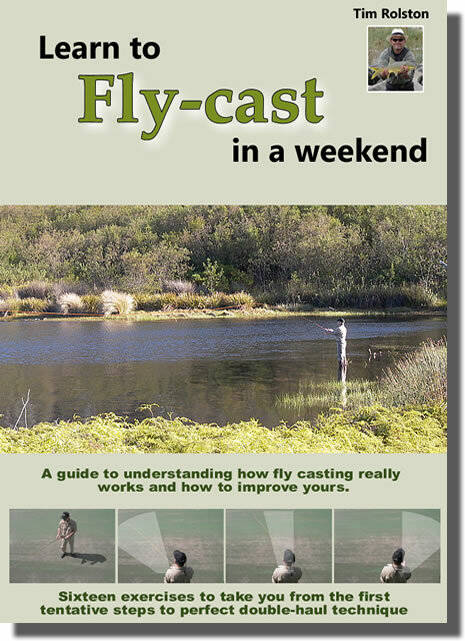 So anyway, for what it’s worth, my thoughts on a few “topics” related to fly casting. The loop: The crux of good and efficient fly casting is the creation of a narrow, stable and small loop in the line. Whether the loop comes from the efficiency or the efficiency comes from the loop I couldn’t tell you, I may need to go to college and get a degree in physics before I could argue the point but I do know that you never see an effective cast that doesn’t include a neat, tight loop in the line. Line speed: You quite obviously can’t cast, throw or hit anything particularly far, accurately or well without speed and momentum. That a fly cast doesn’t look like throwing something, and I always tell my pupils that “you are not throwing something” , the truth is that from a physical perspective that is exactly what you are doing. You are adding speed and thus momentum to the line such that it carries the fly with it. One thing that you are not doing is throwing the fly. Fly Casting v Bait casting: Bait casting is easy to explain, you have a distinct mass (The bait, sinker or whatever), with a defined weight to it which in the process of the cast is a constant; it never gets to weigh more or less. That isn’t true of fly casting where the amount of line out of the rod tip determines the mass you are casting and therefore the dynamics change constantly. This is one of the reasons that many bait and spin casters struggle to master fly casting, because the same principles don’t apply. Not only that but once you let a spinner or sinker go it still pretty much weighs the same, but for a nominal amount of nylon that it is taking along for the ride. With a fly cast the effective moving mass of the line changes constantly as it unfurls. Such that as the cast progresses through the air, more and more of the mass that you initially cast is now static, that isn’t the case with a nylon line with a weight at the end. Thus if there isn’t something (like a leader and fly) to slow the line down as the effective mass decreases the speed will increase, which is precisely why without a leader on the end your line is liable to flip violently or even crack like a whip. It is also why fly lines are tapered, to slow them down as the cast progresses. The “River Runs Through it Myth”: Well that is what I call this little bit of casting legend. There is a scene in the movie where the children are supposedly taught to cast using a metronome. This is an impossibility unless you only ever cast exactly the same line exactly the same distance. A fly rod and line are in effect their own metronome, the tempo changes near constantly as the amount of line paid out changes, you simply cannot cast and count the rhythm it won’t work. The Casting Clock Myth: Admittedly the source of this myth, and it is for my money, one of the biggest hindrances to casting effectiveness for virtually every angler who has ever been introduced to it, was a very limited view of casting portrayed by English gentry with stiff upper lips and a book tucked under their arms. It suggests that a rod when used to cast a fly, moves in the same manner as the hands of a clock. It is patently untrue, the rod cannot move in an arc like a clock and provide the right sort of action at the rod tip to produce a proper cast. That the clock system is still used as a teaching tool is an affront to anyone who actually has any understanding of what makes a cast work. The only proviso would be that the “softer” the action of the rod, the more it deforms during the cast the more you might get away with such an action and of course, surprise, surprise, the idea of the casting clock came up back when rods were heavy and soft and deformed a great deal more than their modern counterparts. My personal view is that if anyone tries to describe fly casting to you with the immortal words “between 11 o’clock and 2 o’clock” or anything similar, run.. run and don’t stop because you are heading down a cul de sac from which many fly casters never actually escape. The action of a fly rod during a proper cast doesn’t follow the image of clock hands, it simply doesn’t. The movement of the rod tip: Using once again the example of hitting a golf ball, it is obvious that the only actual influence the club head can have on the ball is the moment, a tiny fraction of time, when the club is in contact with the ball. All the wiggling, fiddling, scuffing and such that we see most golfers undergo really only helps with consistency, it doesn’t and quite obviously cannot, have any influence on the ball. In the same manner the key to a fly cast is the movement of the rod tip. Certainly there may be a whole lot of stuff going on with your hands, body or whatever, you can wiggle, wriggle and stand on your head if you wish but as far as influence on the line is concerned the only thing that matters is the movement of the tip of the rod. As mentioned, style may vary but the line goes where the rod tip sends it and the effectiveness of any casting stroke is entirely dependent on the movement of the rod tip during the cast. Things that affect the movement of the rod tip: So what can affect the movement of the rod tip? Obviously the way that you move the rod handle is one, the weight of the line, the flexibility of the rod, the amount of line out (and therefore the weight), the timing of the stroke, the inclusion or not of a haul, the direction of the wind, the length of the rod and would you believe the density of the line, because denser (sinking lines) travel through the air faster than less dense ones. The flexibility of the rod first: For a good, fast, accurate cast you ideally want a nice tight loop and that is formed by moving the rod tip during the “Power Snap” of the cast in a straight line. One can easily imagine that were the rod not to flex at all then it would be very difficult to accelerate it in a straight line, not impossible but tricky. Were the rod to be as flexible as a stick of licorice, well then again it would be difficult if not impossible to move the tip in a straight line. So the ideal is somewhere in between those extremes. As the rod tip bends under load it effectively shortens the length of the rod, the more stress on the rod tip the more the bend that occurs and the shorter that it becomes. That compression and shortening are what make fly rods cast well, because much of the work in “drawing” a straight line with the tip of the rod is done for you as the rod effectively gets shorter and then longer again. As the rod flexes under load it effectively shortens, the tempo is slower but the rod tip moves further in a straight line which implies that the actual tip speed is not necessarily slower, at least to my mind. The amount of line out: As touched on previously, the line has mass, the more line outside the rod tip the more mass and the more mass the more flexing of the rod (as a result of inertia which is in itself a function of the mass). So the bending and unbending of the rod will be more extreme the more line you have out of the tip. The more the rod bends and unbends the longer the tip can travel in a straight line whilst the rod itself is being rotated. The timing of your casting stroke: If your timing is perfect you will have maximum force flexing the rod, with a less effective stroke the amount of flexing of the rod will consequently be less and the shortening and lengthening of the effective length of the rod will be different. If the rod doesn’t bend sufficiently it is very very difficult to draw that straight line with the rod tip that you require to get a good cast. 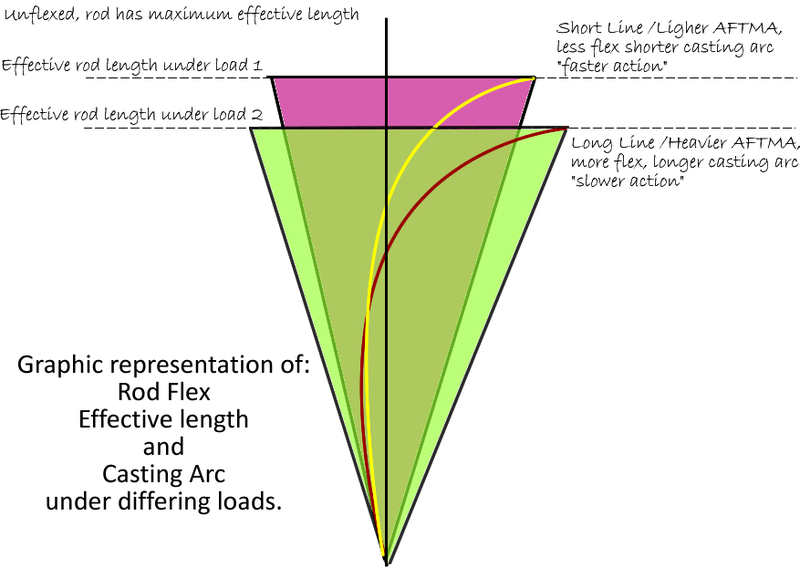 The inclusion of a haul: If a perfectly timed stroke gives maximum force and bending of the rod then a well- timed haul will add even more force and more flex. The rod will bend even more and the effective shortening and lengthening of the rod will be more extreme. This is one of the reasons why single hauls don’t work well, you get maximum flex of the rod in one direction, say the back cast and then if you don’t haul on the forward cast you can’t match the flex and the cast becomes ineffective. The length of the rod: At one level at least the fly rod is a lever, the longer the lever the greater the leverage and all things being equal the faster movement of the rod tip for a given movement of the handle. Of course if the leverage disadvantage becomes too great, such that you are unable to move the rod quickly then the advantage is lost. The very simple reason why most very long rods are double handed. That also happens to be a large part of why is easier to cast prodigious distances with double handed and switch style rods. Twice the power input (Two hands) and more leverage..
Density of the line: Because of the loss of momentum due to wind resistance more dense lines, which are consequently thinner, tend to move through the air faster and lose momentum less readily. If you think of the weather maps that indicate the temperature and then also say what the temperature will actually feel like based on humidity and wind chill then you can think of dense fly lines in terms of something like “Rated as #8 weight, feels like #9 weight”. Dense lines feel heavier and cast differently to the same mass of the less dense floating lines. You could well make the argument that a rod that casts a #6 floating line best may well benefit when using a fast sinking line to having that line downgraded to a #5.. Which you will note is a further limitation of the AFTMA system purely relying on a given mass of line. Much as the AFTMA provides a framework far better than that which preceded it there are massive gaps not least of which in that whilst the line weights are fairly well accounted for on a scientific basis the rods are measured in purely subjective terms. Whether it is possible to be more exact I am not sure but , as the teachers used to write on my school reports , there certainly is room for improvement,. So what about under or overloading rods with different lines then? Firstly you can’t really under or overload them, there is a number written on the rod based on the rod manufactures view of what line is “ideal”, but what is ideal? Casting short, casting long, with a tail wind a head wind what, a floating line or a fast sinker? There is no ideal, the AFTMA rating is little more than a guideline, particularly these days. A heavier line with the same amount of line out will flex the rod more, will decrease its effective length more and apparently “slow down” the action of the rod. A lighter line will do the opposite. So if you like to aerialise a lot of line on average you would be happier with a lighter rated line and if you like to make short back casts and snap the line out there, well a heavier line will be more the ticket. The trouble with that argument is that the taper of the rod may well not be, let’s call it “linear” in that as you apply more force, more weight or more speed, the rod will flex more and bring into play parts of the rod which were previously effectively inactive. You might well argue that if you put on a heavier line then you are not actually casting with “the same” rod. I could potentially make the case for a nine foot rod being a fast action 8’9” #3 weight, or an 8’6” #4 weight or a slow actioned 7’9” #6 weight. With different line weights the rod will flex differently, will have a different “effective length” during the casting stroke and will flex in different ways depending on where in the blank the flex is occurring. However it seems highly unlikely that an increase in line weight, or (the same thing) and increase in the amount of line out of the rod tip will not make the rod action, the metronomic timing, slow down. To me that seems assured. Rather like the leaf springs on a car, without load only the first spring is bending, put in a couple of bags of cement in the boot (trunk) and more springs will be responding by flexing and unflexing. The extremes: So taking the car springs as an example, if there is no weight on the springs they don’t flex at all, whilst on the other hand if you overdo the sacks of cement and exceed the capacity of the springs to absorb any more stress they equally will not function. It is for exactly this reason that leaf springs in a car provide compounding resistance as weight increases and the same reason why fly rods are tapered, offering more flex and greater recovery as the degree of bending increases under the influence of more force. Limits: Within the limits of no flex and maximum flex you can actually cast virtually any line on any rod. With no flex it is difficult as the rod isn’t offering you any storage capacity in terms of the energy that you put in, with maximum flex you simple cannot get more out of the rod and it will either fail to spring back with any speed or alternatively it will break. For the average caster, the ability of the rod to store and then unload energy, transferring it into momentum in the line is what makes casting possible. Without that effect, rather like a capacitor storing electrical energy, your timing has to be near perfect. It is of course possible to cast a line without a rod at all, but that leaves very little room for error in your timing. So rods that flex, what many manufactures and anglers refer to as “slow action” (apparently a dirty word in fly fishing these days), are in fact much easier to cast for most people. It also happens that good casters can make them work as well as quicker actioned rods anyway. In my opinion very many people would cast better, be far less frustrated and less tired if they used rods which flexed a bit more easily. It is for precisely this reason that many people, anglers and shop assistants alike “overload” rods, changing their action to a slower one which more people can make work. In fact from what little I understand about golf the same holds true for golf clubs where a more flexible shaft as part of a golf club will provide easier driving for the average golfer. In case you think that this cannot be true I want you to look at the embedded video clip of: Johnny Dieckman the 1959 world fly casting champion. In particular take a look at a couple of things, firstly the classical “clock hands” rubbish at the beginning and then the form that he used later for distance. You will notice that with more line out of the rod the rod is moving over a far wider arc, no clock hand movement there!! Then note the flexing of the fiberglass rod. This guy is casting further than most people will ever manage even though he is using what we consider to be primitive tackle and that rod couldn’t be considered anything like a “fast action”. (This wasn’t the video I was looking for of Johnny, there is another out there somewhere but this will suffice to show the points I wanted to make.) The loop shown in the video isn’t particularly neat or tight but you can see that the rod tip is traveling in a pretty straight line when the power is applied and that equally the incredible flexibility of the fibreglass line doesn’t stop the caster from achieving that form. Not long ago we experimented casting a #5 weight line with a piece of white plastic electrical conduit in the region of 8ft long. Obviously there is no taper, the walls are the same thickness throughout the “blank” and compared to a fly rod the stuff is heavy and flexes even without a line threaded up the middle. Guess what? We could cast it and in fact could cast it reasonably well, achieving distances of about 20 metres and getting loops that weren’t bad. This entry was posted on August 12, 2014 at 2:20 pm and is filed under Fishing, Fly Casting. You can follow any responses to this entry through the RSS 2.0 feed. You can leave a response, or trackback from your own site. Appreciate your taking the trouble to drop me a line.